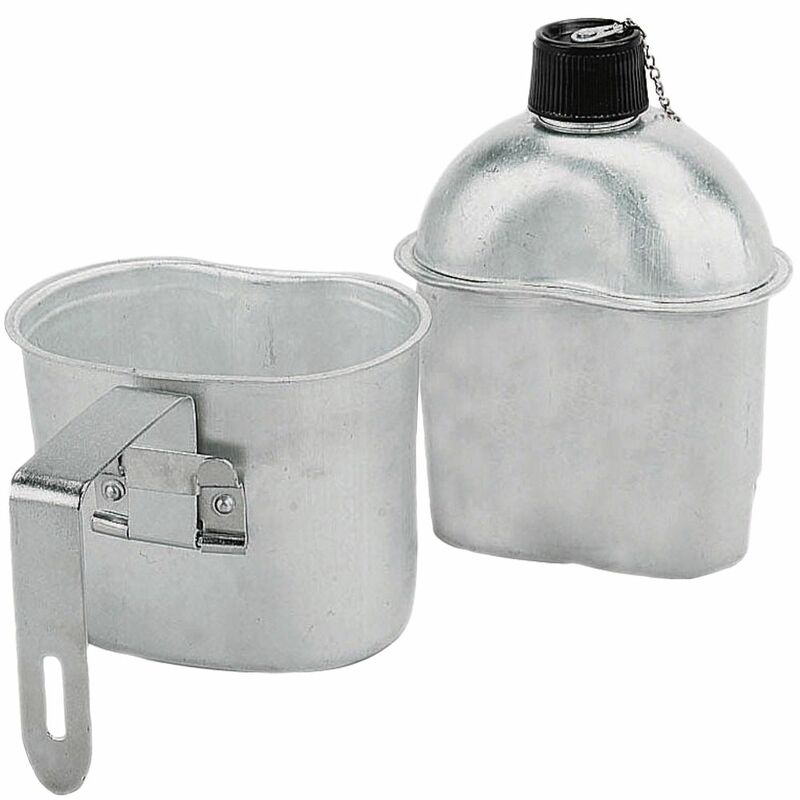 This canteen cup is constructed from heavy gauge aluminum material. This military style canteen cup can be carried anywhere with you conveniently as it does not take any extra space. The canteen cups are generally used to hold very hot liquids like coffee or soup as well as to heat liquids. Hence a canteen cup must be capable to handle heat. This Government Issued type aluminum canteen cup is strong enough to hold hot liquids. It is available in only one size. It can hold liquids of 1quart canteen. This good quality aluminum canteen cup is available at very reasonable costs.